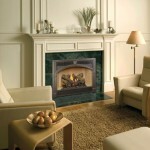 All of the fireplaces have many different faces and fire backs etc. 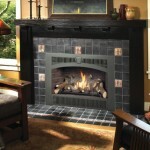 to make the size fireplace you need look the way you want it to. Contact us and we’ll provide you with any additional information that you’re looking for. 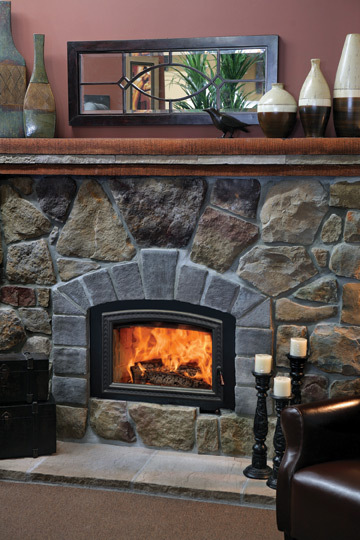 Lopi’s hearer-rated 21 TRV Portrait-Style gas fireplace is a cozy and convenient way to provide the warmth and beauty of fire to areas not normally considered for fireplaces. It’s designed for corners or limited space installation in small intimate settings such as bedrooms, baths, dining rooms and kitchens. This fireplace has the flexibility to be installed at eye level or directly on the floor, the applications are unlimited. The Lopi 21 TRV features the Award Winning Ember-Fyre burner system. The Patented Split-Flow Ember-Fyre burner produces such an incredibly wood-like fire it was awarded the prestigious “best of what’s new” Award by Popular Science. Join the Lopi tradition by heating your home with the Lopi Bostonian space Saver gas fireplace. 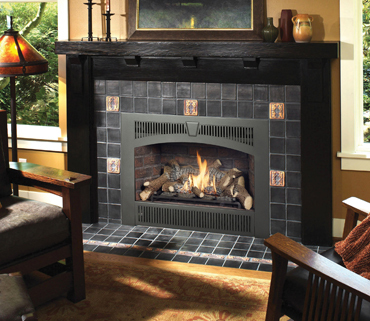 Compare for yourself – Lopi builds only the highest quality fireplaces. They start with a heavy gauge steel firebox for quality inside and out. Notice the detail and beauty in the log set and the warm glowing fire. The design of the Bostonian allows you to add the beauty of fire with a large viewing area while not overheating your rooms. The huge heat turn-down rate makes the Bostonian fireplace ideal for zonal heating and smaller rooms such as bedrooms and dens and for those that don’t require a large amount of heat, but still want to enjoy a beautiful fire year-round. The Bostonian High Output (HO) GreenSmart fireplace offers the same 564 square inches of viewing area of the Space Saver fireplace, but it is designed to heat a larger area of up to 1,400 square feet. 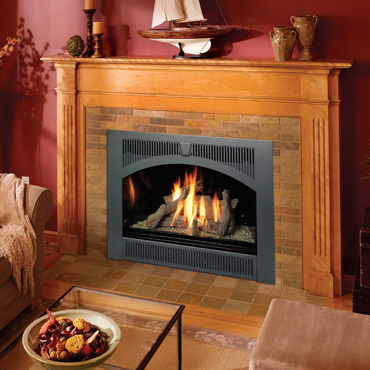 With 35,000 BTU input, ceramic glass and fan standard this fireplace delivers the heat! You can heat your family’s main living area or duct up to 30% of the heat to adjoining room(s) 20 feet away using the optional Power Heat Duct kit. One or tow kits can be used. This high output fireplace uses “film cooling” technology allowing for close clearance to combustibles, letting you install the mantel close to the fireplace in a traditional location. 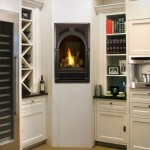 The Bostonian HO offers flexibility from the inside out to compliment any home style from traditional to contemporary. 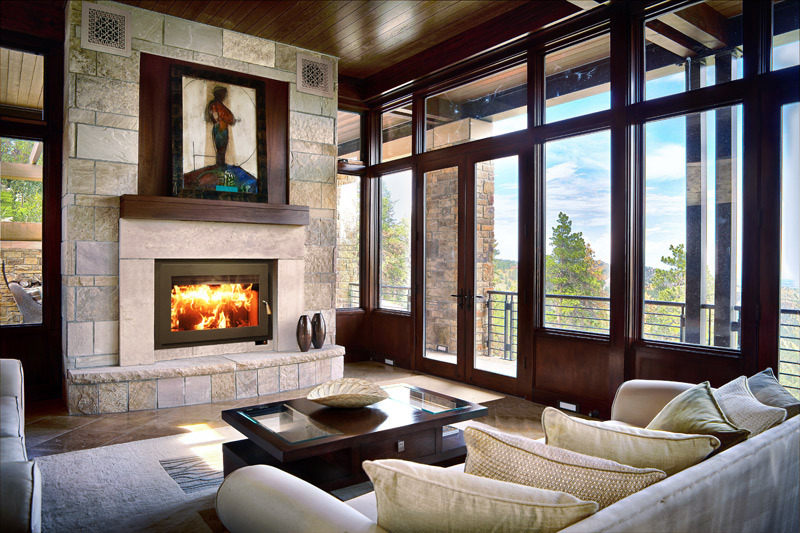 The Hearthview TRV is perfect for warmer climates, smaller spaces, or a beautiful, decorative fire all year long. 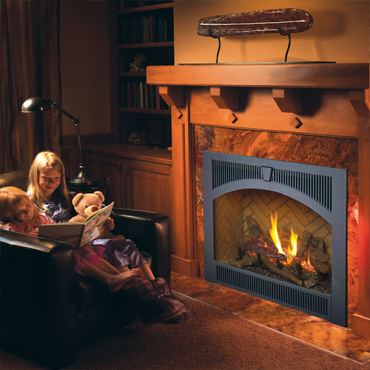 It offers a wide BTU turn down range for more heat flexibility and flame viewing options. A wide range of face styles and options are also available to match any room decor. The Hearthview TRV features 864 square inches of tempered glass with a child-safe mesh screen in front. 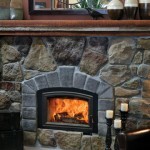 The Hearthview HO GreenSmart is designed for complete home heating as well as for year-round enjoyment. Featuring the widest heat range of any fireplace, you get more heat flexibility and flame viewing options. On high you can easily heat up to 2,500 sq. ft. Want to use your fireplace for mostly ambiance? Use the Comfort Control to turn off the rear burner and enjoy the glowing embers and front fire without all the heat. 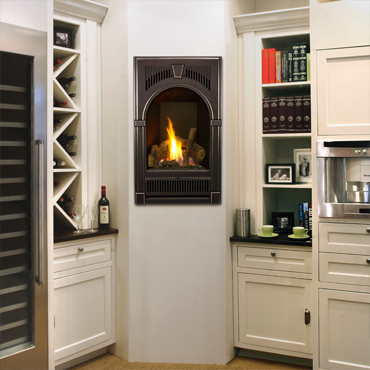 The Hearthvew HO was designed for high efficiency and close clearances to combustibles. Using “Film Cooling” technology along with a built in heat exchanger and specially designed convection chamber, the Hearthvew HO pulls an amazing amount of heat off the fireplace and directs it into your home. This reduces the amount of heat left in the fireplace reducing top and side clearances. Behind the elegantly shaped door of the Opel3 burns a fire that reflects the traditions of our ancestors. Yet this is no ordinary fire. The patented technologies used in the Opel3 give you the peace of mind that your fireplace burns a renewable energy source in a beautiful and environmentally responsible way.